Linz is one of the coolest cities I’ve been to recently. 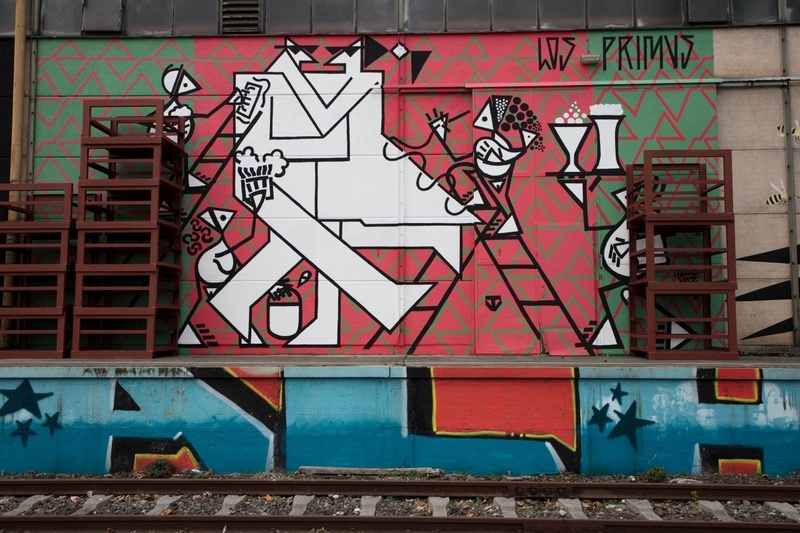 I love a town with tons of things to do, a great cafe culture, and good food, but one of the things I’ve started searching for on all my trips is grafitti, street art, murals, and Linz has really embraced its artists and the idea of sprucing up all the city walls. It’s beautiful. 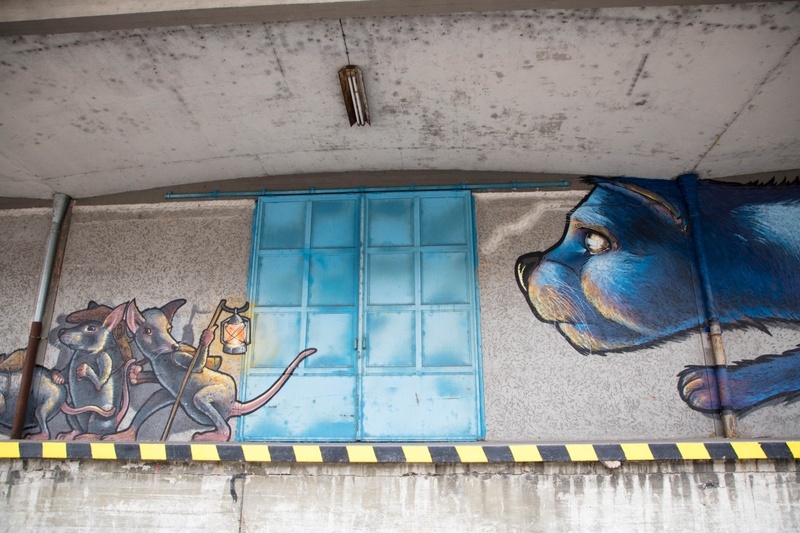 Linz street art is said to be some of the best in the world, and now I know why. A few years ago, a new modern take on art took root in Linz. Mural Harbor was born. The movement was based on the idea that everyone has a voice, and that art is can be that voice. 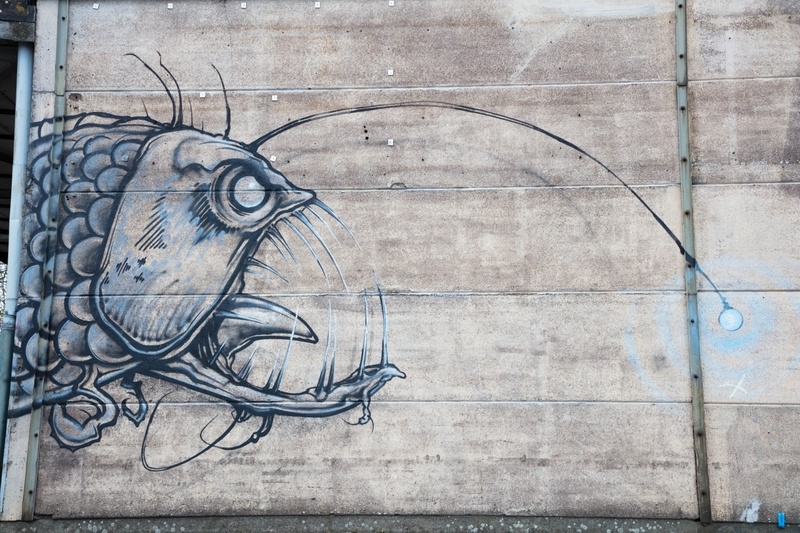 The city started inviting famous grafitti artists from around Europe and the world to come to the harbor (Linz Hafen) and leave their mark. 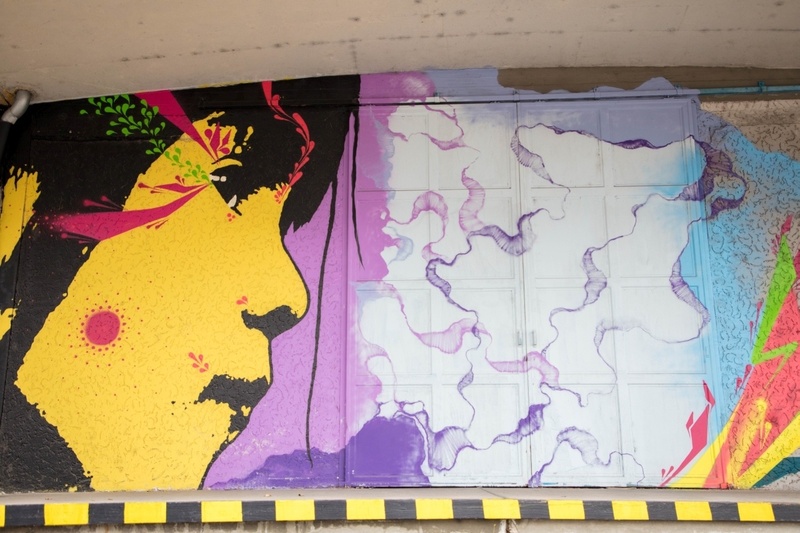 Each year new murals are added, all aimed at brightening up city life for residents and visitors alike. 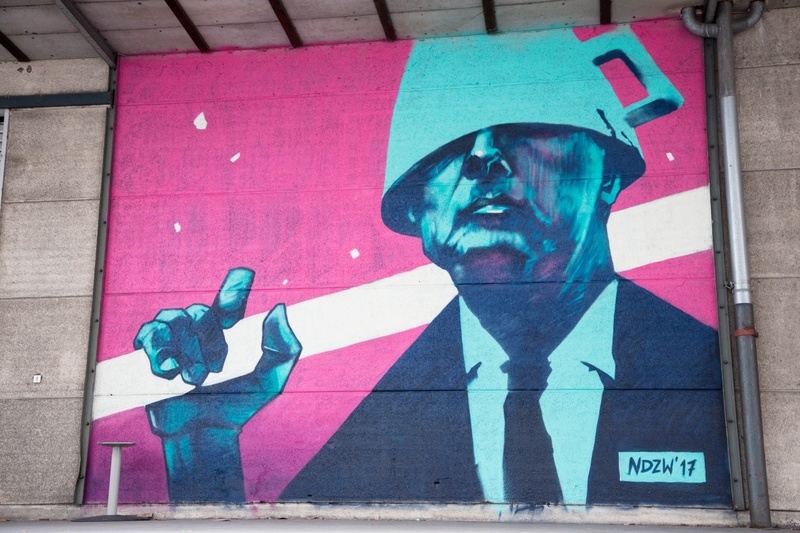 Of course, social commentary has always been a part of street art, and Linz’s Mural harbor doesn’t fail to deliver. 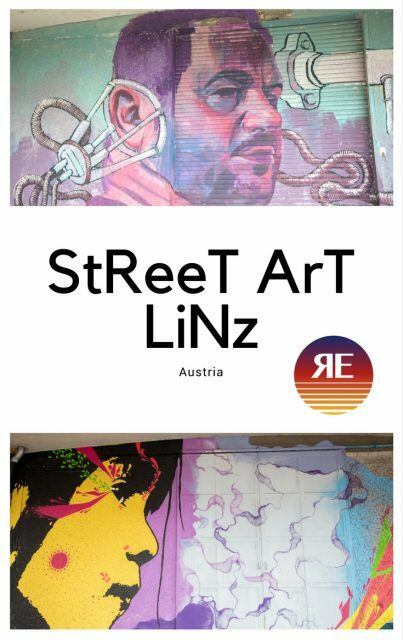 Planning a trip to see Linz street art? Pin this to help you plan! 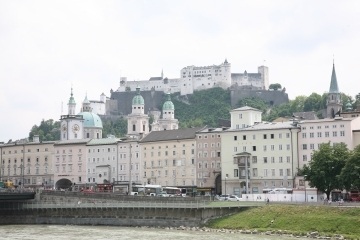 The day we were in Linz was overcast and cloudy. Rain was threatening to come down at any moment, so we drove down to the harbor and immediately our day was brightened as we spotted mural after mural. As we toodled around the harbor, we marveled at the size and variation of the murals. Of course, we each had our own favorites. Like most street art, some of it was a little graphic, some had distinct messages, and some were whimsical and cute. All were professional and noteworthy. One of my favorites was the cat chasing the mice in one of the port warehouses. The mural is so large that I couldn’t capture it in one image. The artist calls himself Size Two and he hails from down the road in another of my favorite Austrian cities, Graz. Another favorite, called Real!, is done by the artist Stohead, and it spans two parts of a warehouse wall. It looks almost evil as the demonic anglerfish tantalizes another with its lighted bait. You can see he is luring it to be eaten, and it’s almost a little scary. 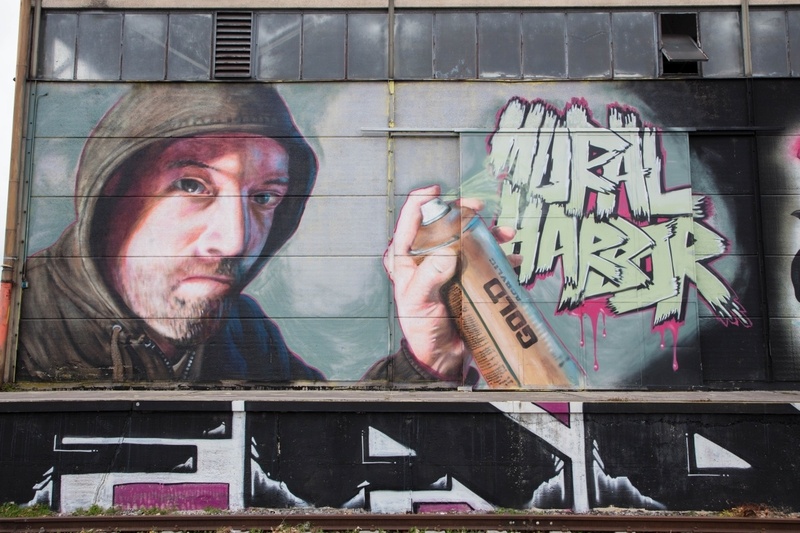 What Mural Harbor illustrates very well, is that every artist brings something personal to his or her perspective. One of the pieces I found the most interesting was done by the artist Fikos! from Greece. He had studied Byzantine art, and it certainly shows in his street art. One artist, Shed, did a self-portrait, and it is also one of my favorites. I love how he depicts himself. It makes me feel that grafitti art, at least this amazing Linz street art, still has a bit of edginess attached to it, a bit of rawness. Linz street art, down in Mural Harbor, and along the Danube really adds a special touch, a nod to modernism to the city. Whether a wall is made up of multiple murals by a number of artists or whether the artist took over the entire wall, the message is clear. It tells the world that everyone is welcome to share their viewpoint, and that is something that I have to applaud. I certainly have not seen that in other places I’ve traveled. Where is Linz Mural Harbor? Mural Harbor is in the city’s main harbor district on the walls of the industrial buildings surrounding the Handelhafen. It is a 30-40 minute walk from the main square, or Hauptplatz, along the banks of the Danube, to this thought provoking, outdoor gallery. 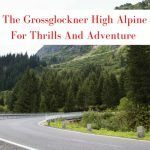 Pleasant enough if you like walking. Otherwise, you can access the mural harbor by car or bus. Bus 27 will pick you up at Taubenmarkt at the top of the famous Landstrasse shopping street. From there it is a short 15 minute ride to the Eisenhof stop wight on the harbor. If you drive yourself, look for parking in the harbor itself along Regensburger Strasse. There are a variety of ways to enjoy Linz grafitti, and one way we might try next time is taking the Mural Harbor boat tour. 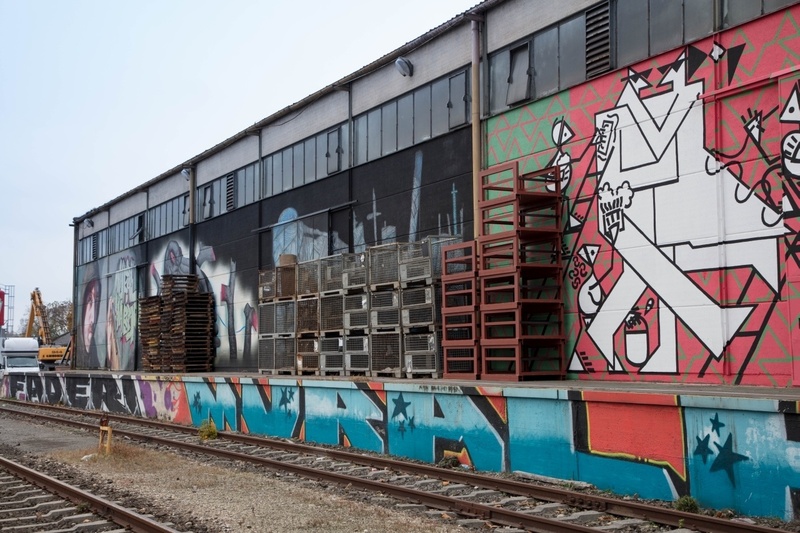 Not only do you get to see the art and the city of Linz from a different perspective, you can hear all about the philosophy of Mural Harbor and the artists that have come to Linz and left their mark. 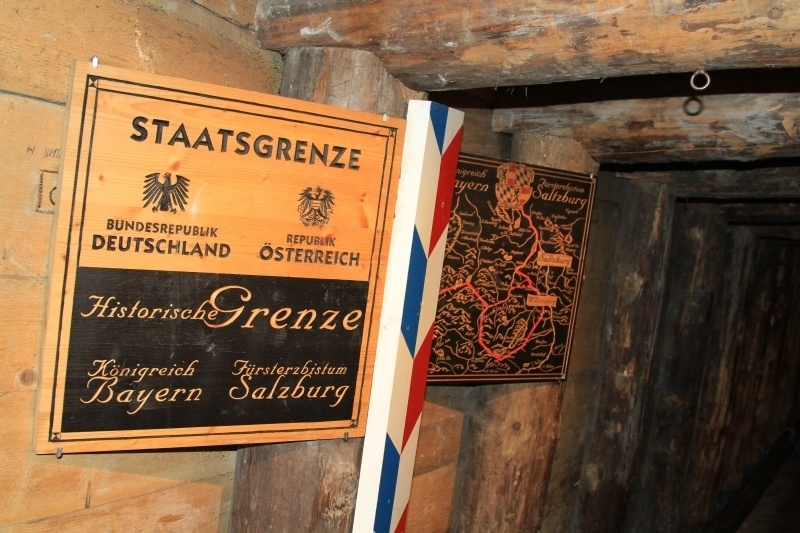 Dressing Up, Sliding Down, and Going Deep in the Salt Mines of Hallein!